Whether possesed of a religious vision, an agnostic free-thinking outlook or a bent toward an atheistic worldview, few would deny that the holidays have a tangible pull on our psychology. 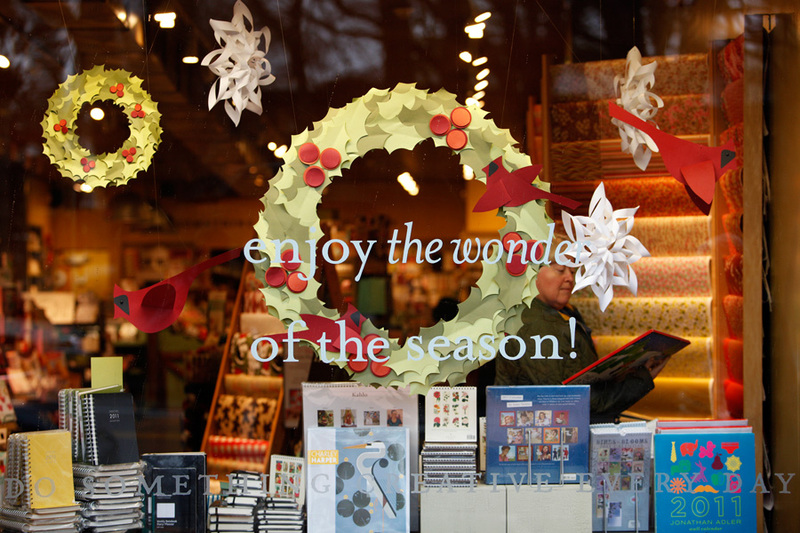 For many, the season stirs up a sense of wonder in the human heart. The window at Paper Source on Nassau Avenue offers a toast as to that rising tide and a reminder to "Do something creative every day."